Seeing Double Quilt Pattern by Meghan of Then Came June. This fun updated take on the classic gingham/buffalo check pattern is a fast finish. 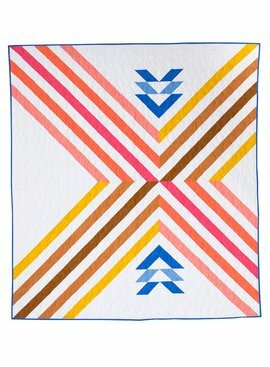 It is a great weekend quilt pattern that has a modern finish. The pattern includes baby, throw and twin sizes. 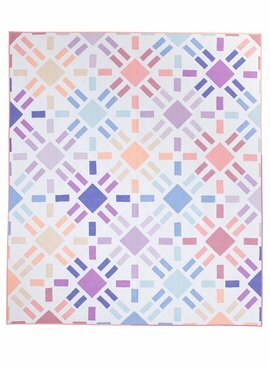 Pattern assumes quilter has basic piecing and quilting knowledge. Skill level is confident beginner.